The Greater New Braunfels Chamber of Commerce will celebrate its 100 year anniversary in 2019. Throughout the year there will be several special programs, events, campaigns and promotions celebrating this huge milestone. 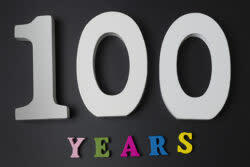 As part of the centennial festivities, the Chamber will honor local companies who have been in business for 100 years or more. If you know of a local company that will be a century or more old in 2019, please email that information to Jenna@InNewBraunfels.com.